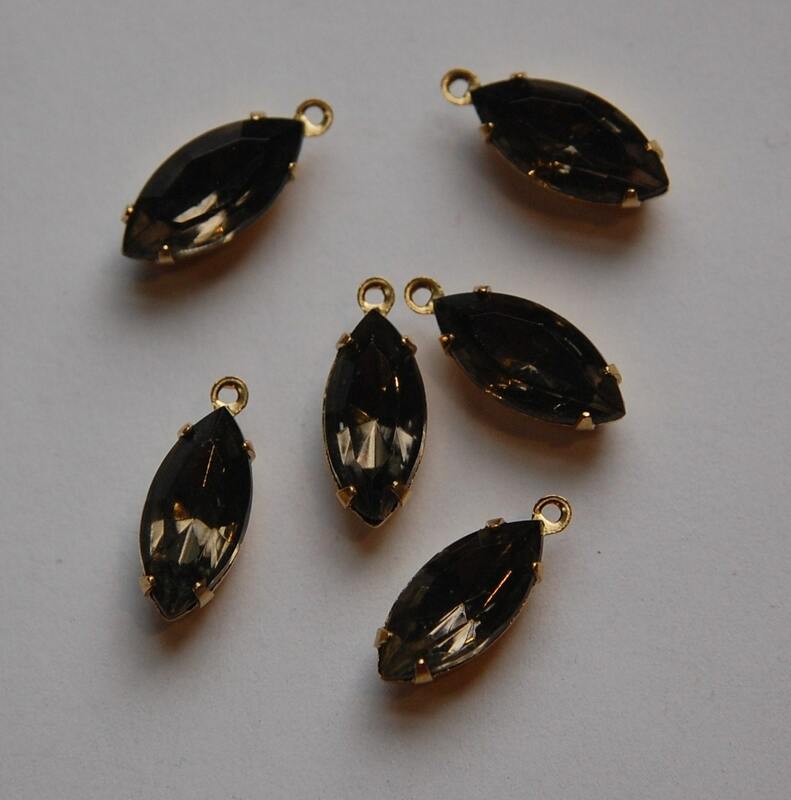 These are vintage glass stones that are set in a one loop brass setting. The stones measure 15x7mm. You will receive 6 of these. Love these navettes and the selection from this shop! I love these little gems, they fancy up any earrings!